Doctor Who - Is Peter Jackson Directing A Doctor Who Episode???? An interesting video surfaced on Peter Jackson's Facebook page where it appears he might be directing an episode of Doctor Who. 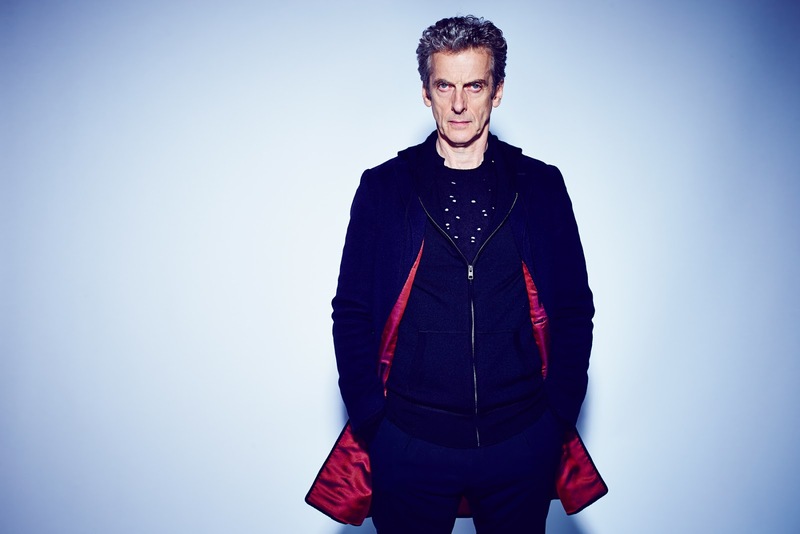 Nothing is confirmed but this tongue and cheek video sure does suggest it and it also features Peter Capaldi delivering a contract. Well we'll just have to wait and see if this becomes a reality for Series 10. Everything leading up to this episode hinted at a very bad story. We are at a season conclusion, something Moffat has failed at more than he has succeeded. 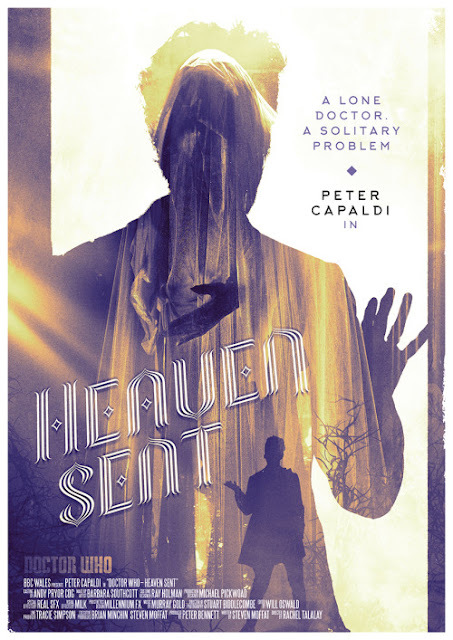 Even the title, “Heaven Sent” reminds me of last season's finale and that was garbage. And of course Moffat is writing and has not done much really good writing since taking over as show-runner. Until now. 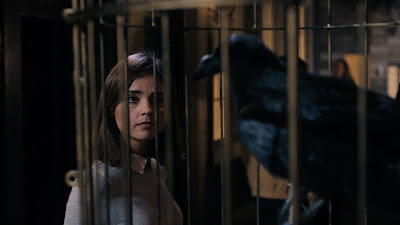 After last week’s emotion story Face the Raven we are given a story that is absolutely different and something we haven’t seen in Doctor Who for sometime a companionless story. 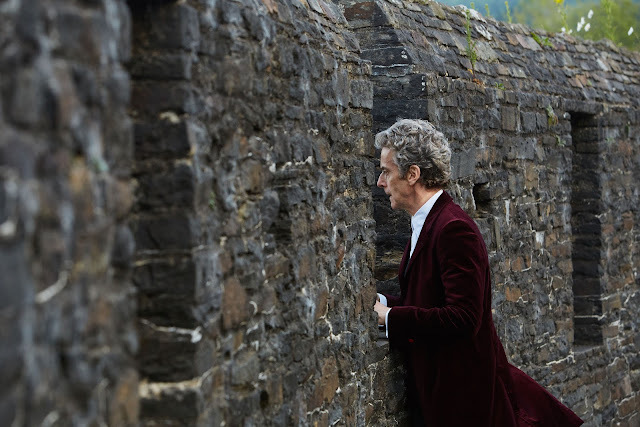 Well this story could be called Doctor Who meets Groundhogs Day because that’s how it felt towards the end when it became repetitive and dragged out a bit too long watching him punch the diamond wall over and over again. The normal 45 minutes would have sufficed and some of the Groundhog Day sequences could have been cut down a bit. That’s my opinion and it seems I’m in the minority here as lots of thought it was great. But I did get what they were doing and what tale they were referencing if you Google How Long is Eternity? 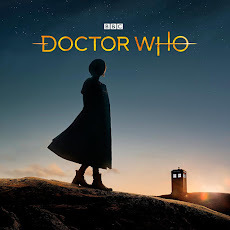 you’ll have the source for why The Doctor was punching the diamond and why it took 2 million years which was pretty clever in a way but I still thought that it was way to reminiscent of Groundhog Day instead of a fable but the fable is where it comes from. This is an interview with Carole Ann Ford, who played Susan in Doctor Who. This interview was taken November 13, 2015 at the Long Island Doctor Who convention. Check out our other interviews and podcast episodes. Captain Jack is suspicious of a group called The Committee. 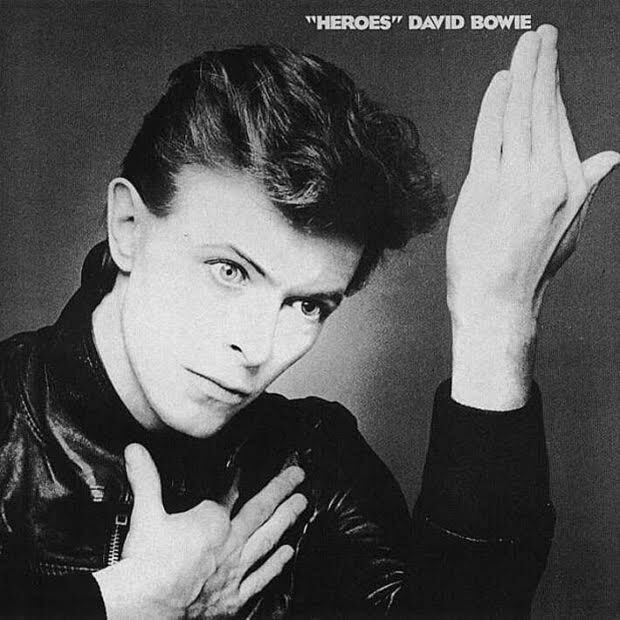 The Committee is a group that is run by aliens and they seem to have a hand in the events of the world throughout history. When renowned conspiracy theorist arrives in Cardiff and is talking about The Committee Captain Jack couldn’t waste a moment to talk to George Wilson to find out what he knows about The Committee. What Jack finds out is that most of what George Wilson has been talking about is made up but how was he right about half of the stuff he was talking about in his lectures. Only when a blogger who got to close ends up dead does Jack fear the worst and that The Committee is now after him. 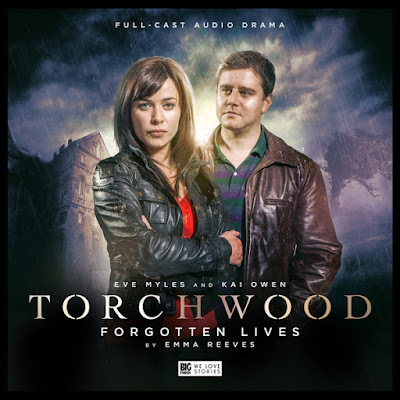 Out now is the third Torchwood audio adventure and this month Eve Myles and Kai Owen reprise their roles in Forgotten Lives which takes place 4 years after Miracle Day. 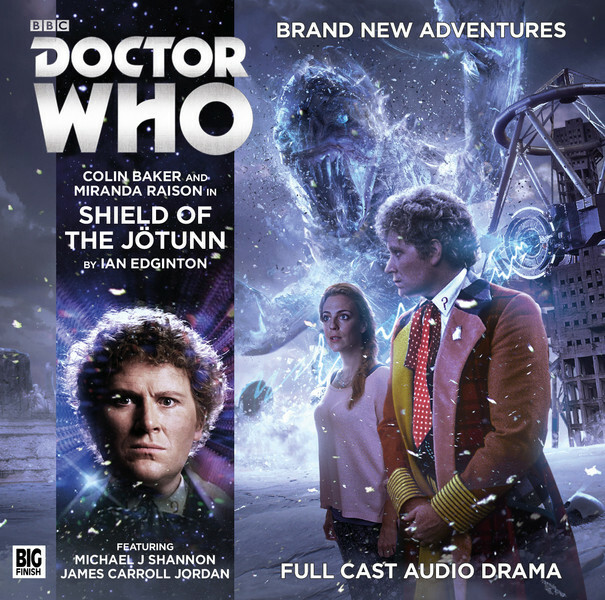 You can order this audio adventure from the Big Finish website. Out now and in February and March are three Doctor Who comic book cover variants that pay homage to some classic rock album covers. These are pretty cool and my favorite is The Blondie one. Keep your eye out for these variant covers. 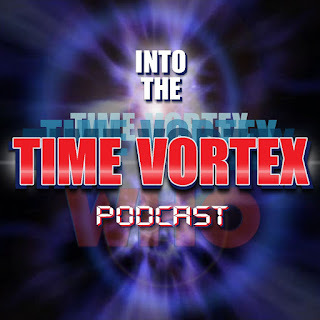 Here is episode 2 of our podcast and our same 6 fans discuss two more episodes from Doctor Who season 9 - enjoy and feel free to share with anyone. 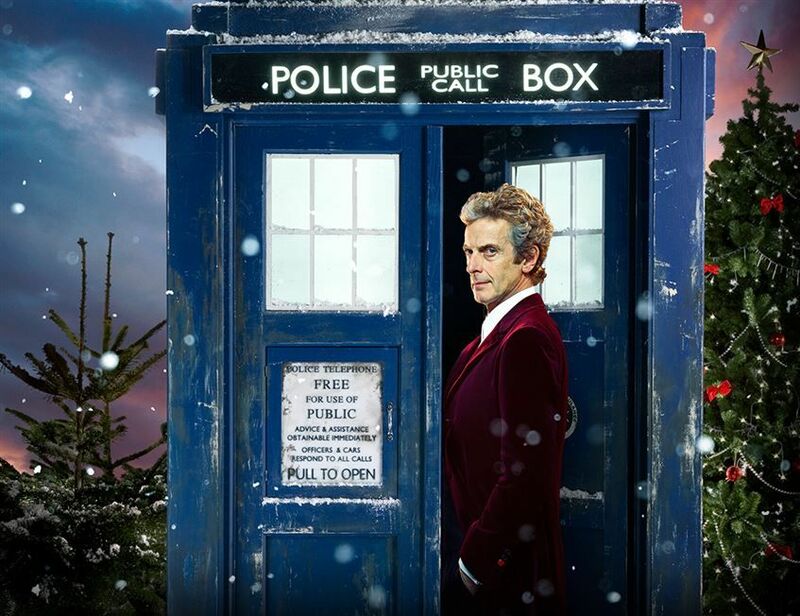 The BBC have released a promo pic and a synopsis for this years Christmas Special which airs surprisingly enough on Christmas Day but of course no air time given by the BBC. This is a very interesting episode and it is obvious that the number of open endings in it means that the story still has to be completed. 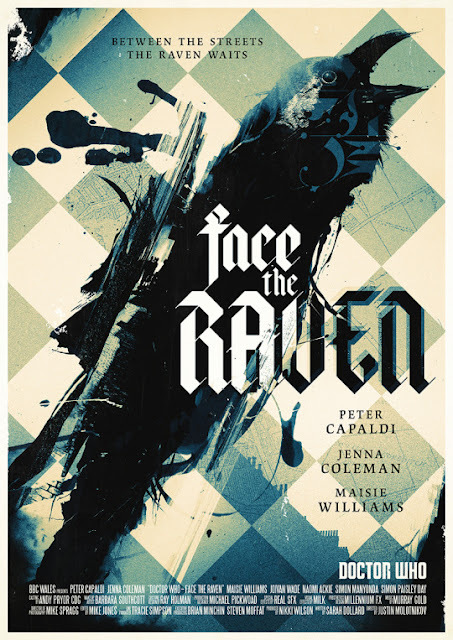 After what some consider to be one of the worst episodes in years, "Sleep No More", we have “Face the Raven” which is a very talky almost murder mystery type of plotline. 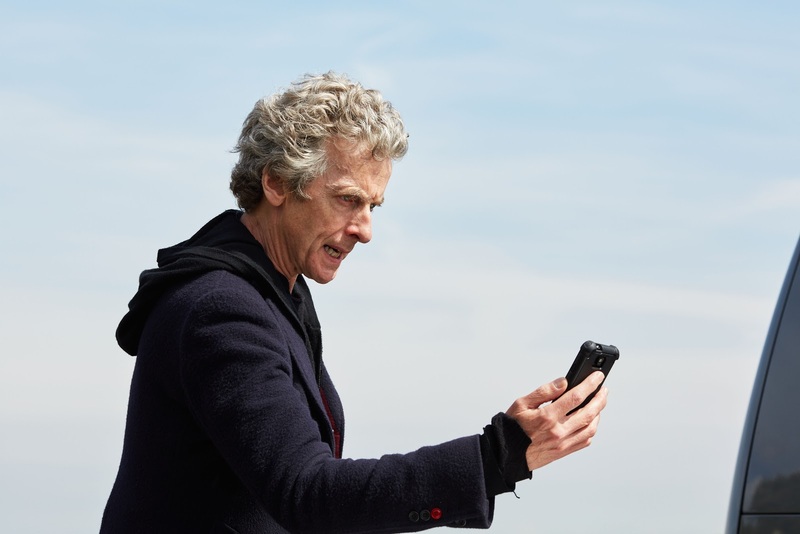 Rigsy (seen in last season's “Flatline”) is in trouble and calls the Doctor and Clara. He has a tattoo of a number on his neck that is counting down. The team investigates and locates a hidden street in London that acts as a sanctuary for stranded aliens on Earth. It appears that Rigsy killed one of those aliens and the countdown is when he will die. He has totally forgotten about the previous day. 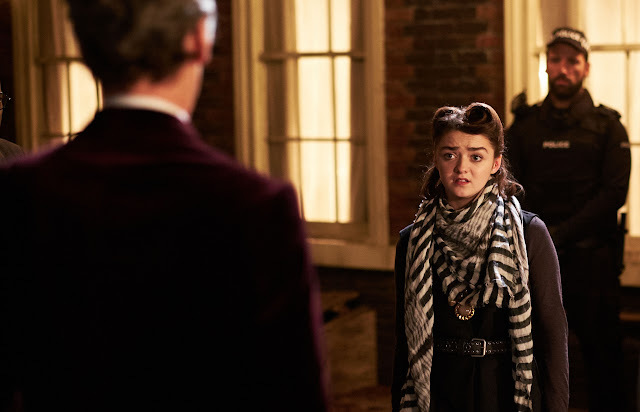 What the real story is concerns Ashildr (Maisie Williams) and yet another elaborate plan to capture the Doctor. Who set the trap and why is to be determined next episode but that is not important right now. Well they finally did something that I didn’t think they had the courage to do. 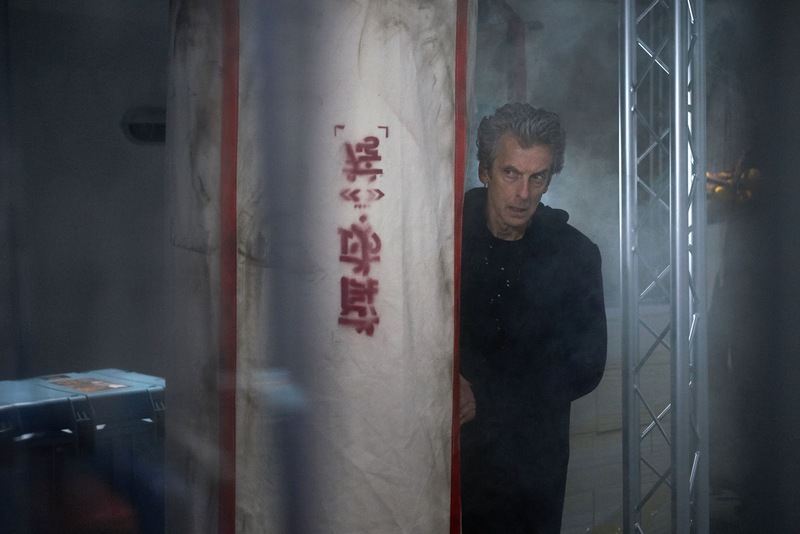 Even though the clues were there with Clara being so reckless I didn’t think Steven Moffat would actually go ahead and kill of Clara. 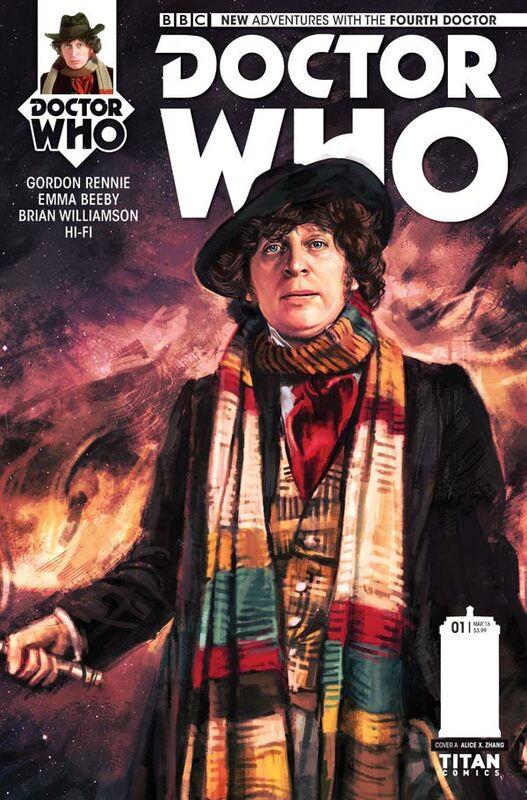 Yes he has killed a version of Clara before but this is was the death of an actual companion since 1982’s Earthshock. 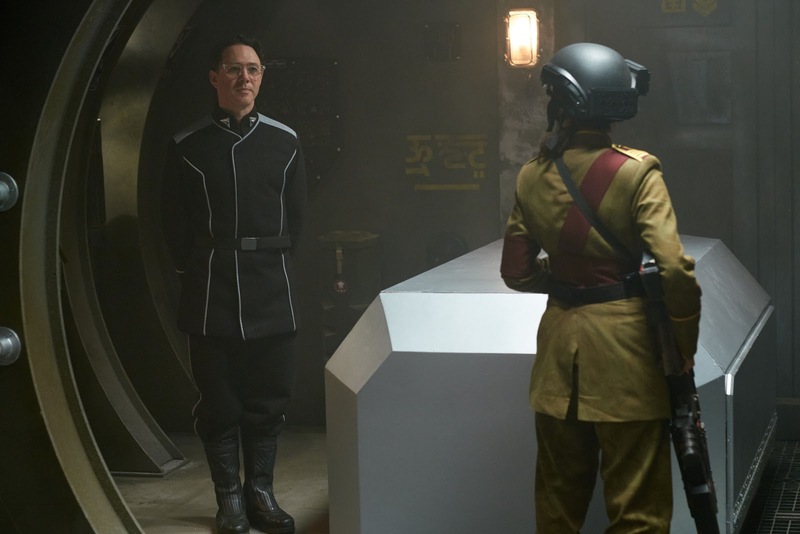 Since Adric’s death came as a surprise and no one knew what was coming as social network did not exist back then there were a lot of rumors that Clara would meet her demise. I have to say they kept the secret pretty good and most fans did not realize that it would be in episode 10. There were leaks about her leaving and it was spoiled on radio and on some sites but most did not know that she would be killed off. But the clues were there and I was one to put two and two together. 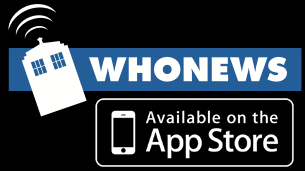 Yet again November is upon us and yet again it is time for Doctor Who fans from New England, Long Island, and the Mid-Atlantic States or well from around the US and the world to come to Long Island New York and attend the third Long Island Who convention. This year’s convention took place on the weekend of the 13th to the 15th of November and had more guest than last year with Paul McGann, Carole Ann Ford, Janet Fielding, Katy Manning, Wendy Padbury, Frazer Hines, Noel Clarke, Camille Coduri and Derek Sherwin to name just a few. 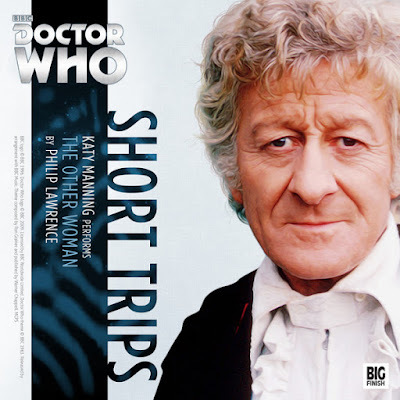 Out now for download only is a Third Doctor story narrated by Katy Manning. 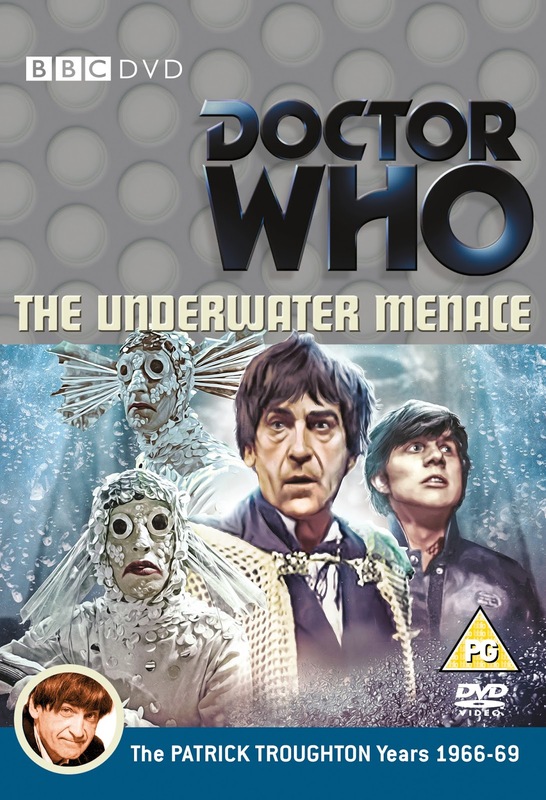 This story featuring Jo Grant and UNIT sees the Doctor being charmed by a dimension jumping woman who might not be what she appears. 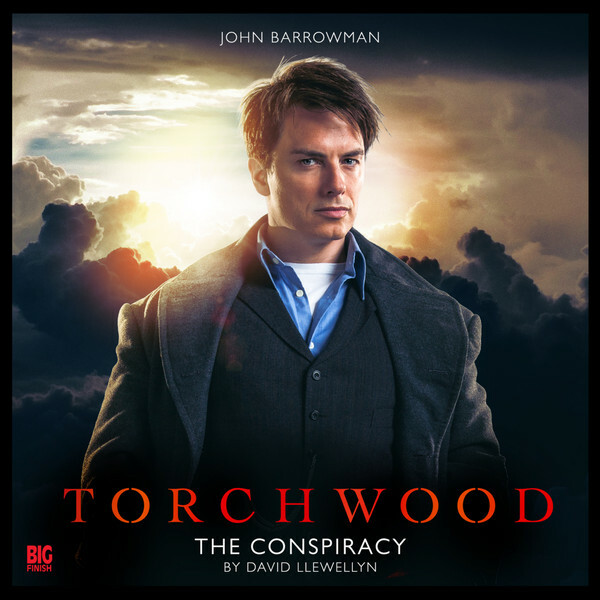 You can order this release from the Big Finish website. Oh, boy, where to begin. First off, I like when series try to do something different and usually found footage formats are entertaining. In this case the gimmick is wrapped up within the found footage. There is a reason for why we are seeing what we are seeing. The found footage concept is part of the plot and this is highly imaginative if not kind of "HUH? 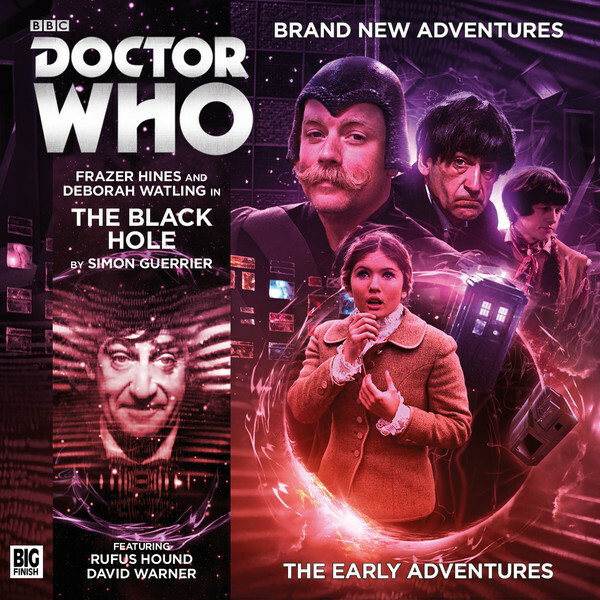 This month's Early Adventures sees The Second Doctor, Jamie and Victoria on a research station near a black hole. You can order this release, which also stars Rufus Hound who was in The Woman Who Lived, from the Big Finish website. Frazer Hines (Jamie McCrimmon/The Doctor), Deborah Watling (Victoria Waterfield), Rufus Hound (Constable Pavo), Janet Dibley (Commander Flail), Anthony Keetch (The Seeth). Narrated by David Warner. 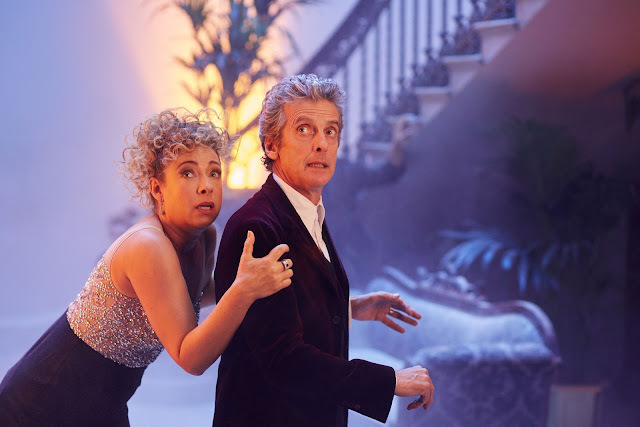 The BBC have released the run times for the two part finale and they will be longer than normal. Heaven Sent which airs October 28th will be 55 minutes and Hell Bent which airs on December 5th will 65 minutes. 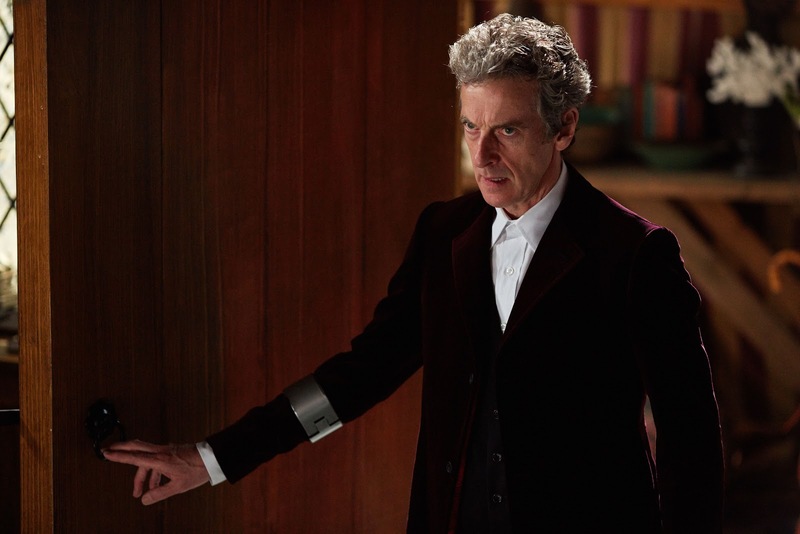 Both episodes will air at 9pm on BBC America. 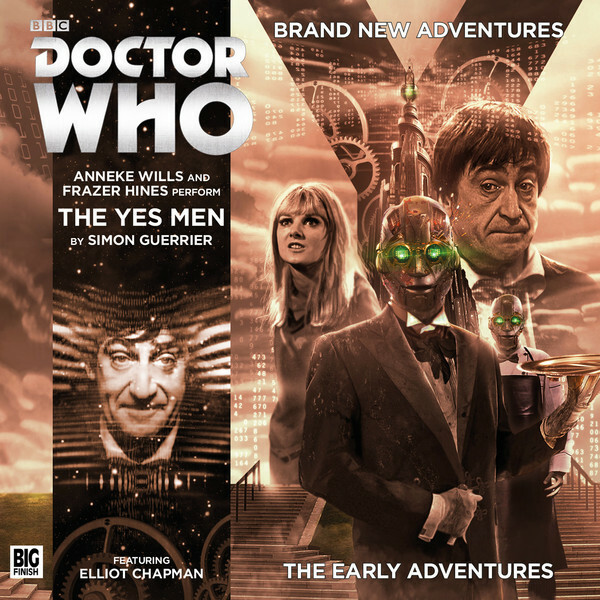 This month's main range release sees The Doctor and Constance in Arizona in the year 2029 where the subject of climate change takes center stage or does it. 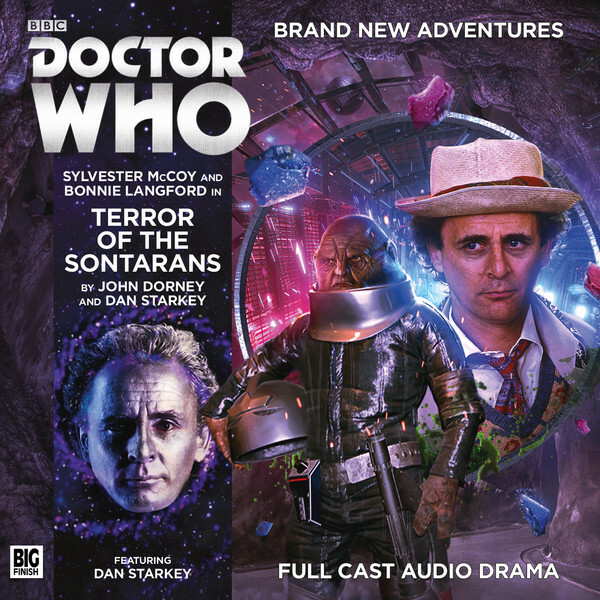 You can order this release from the Big Finish website. Colin Baker (The Doctor), Miranda Raison (Constance Clarke), Michael J Shannon (Dr Hugo Macht), Nell Mooney (Professor Lisa Zetterling), James Caroll Jordan (Major Vincent Da Costa/Herger), Ryan Forde (Bryce/Talessh). Other Parts Played by the Cast. 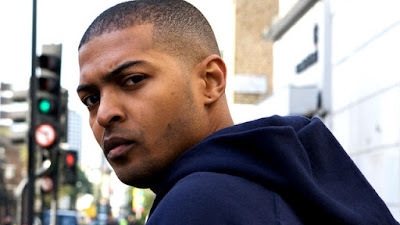 Doctor Who's own Micky Smith, Noel Clarke was at the Long Island Doctor Who Convention and on November 13, 2015 we interviewed him. I can say I’m not a big fan of found footage movies or television shows. I hated the Blair Witch Project and wasn’t that fond of Cloverfield either. 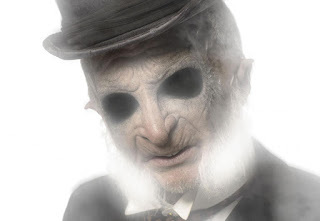 So when I heard they were doing a found footage episode of Doctor Who I had big reservations about it. Would it be good and would the scenes be jumping all over the place was one of my concerns but not that much of a worry as to who was writing it. 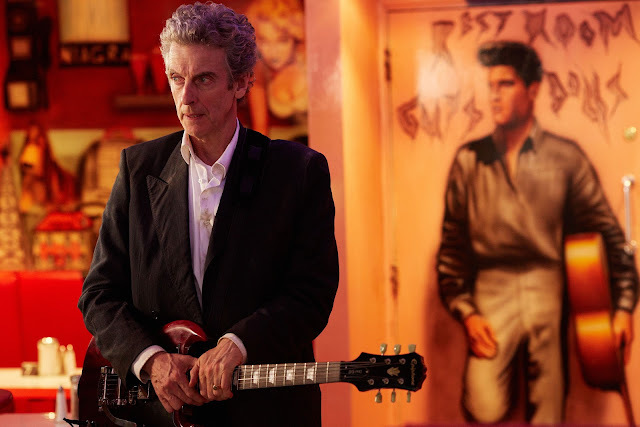 The BBC have released the synopsis for the Series 9 finale Hell Bent which will air on BBC One and BBC America Saturday December 5th. The following is a new podcast series with a group of fans from America. The series will include reviews of the Doctor Who episodes and discussion of various other topics. 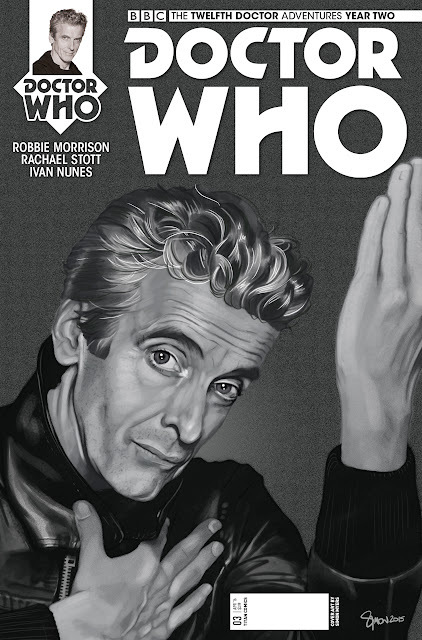 We also will have exclusive interviews with Doctor Who celebrities! 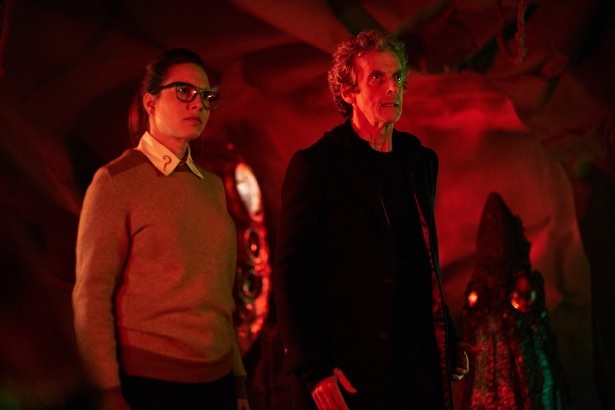 The Doctor and Mel are responding to a distress signal on a hostile alien world to find that the base that the signal originated from is deserted. But they stumble upon a Sontaran that doesn’t seem all that mighty and appears to be afraid of something. Soon another group of Sontarans have arrived searching for the missing research team. 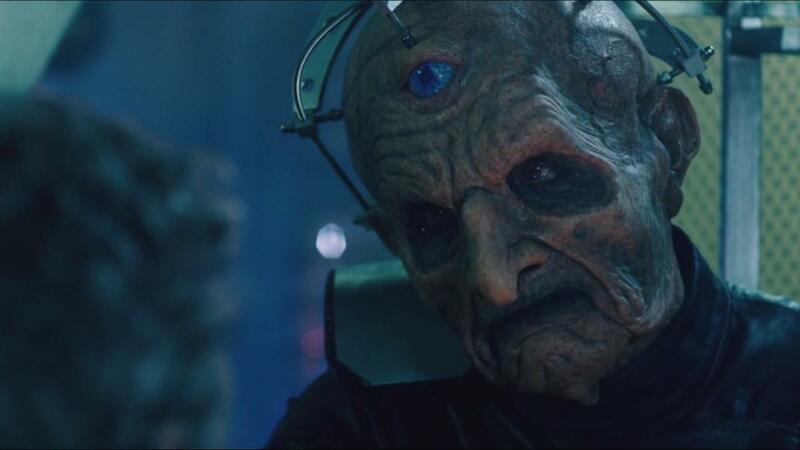 The Doctor soon discovers that there is an evil on this planet that is more of a threat than a bunch of warmongering Sontarans something so evil that it drives humans and Sontarans mad that it eventually drives them to death. 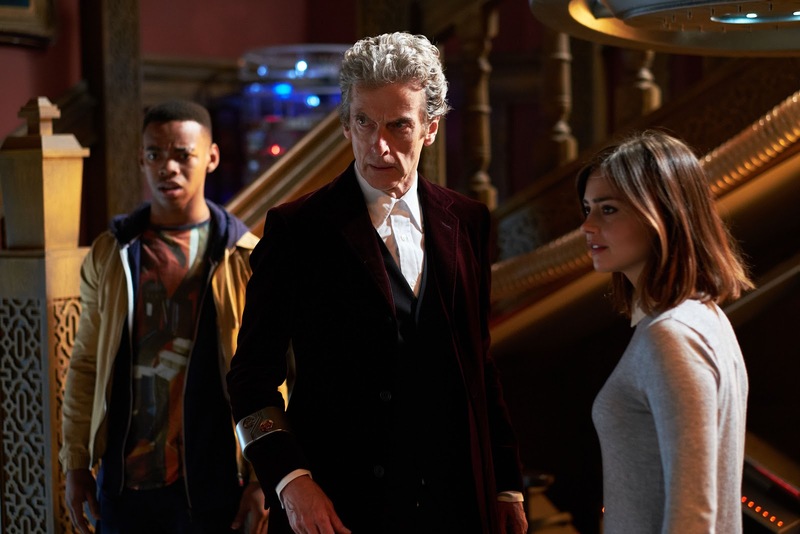 So it’s up to The Doctor and Mel to figure out a way to save everyone human and Sontaran without getting killed in the process. 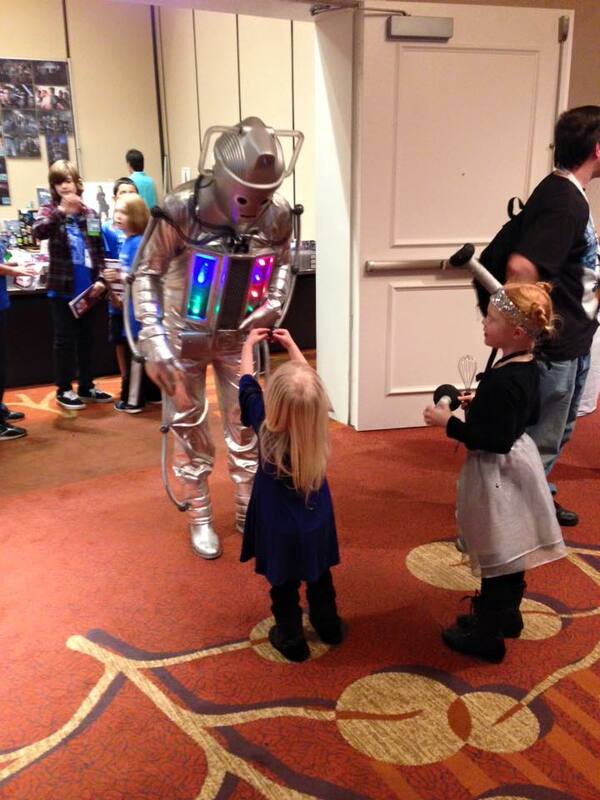 DENVER, CO – November 11, 2015 – BBC Worldwide North America and Fathom Events announce the return of the longest running sci-fi television series, Doctor Who, to the big screen with a special theatrical event of the 2015 Doctor Who Christmas Special starring Peter Capaldi and featuring the return of Alex Kingston as River Song. The event will be in theaters on December 28 & 29, 2015 at 7:30 p.m. local time and feature an exclusive interview with Alex Kingston, as well as a 15-minute behind-the-scenes “making of” featurette starring Peter Capaldi, Steven Moffat and more. “The Doctor Who fans always come out to movie theaters in full force and we expect nothing less for the first-ever big screen showing of the Christmas special. Experiencing this anniversary event as part of a community is the best kind of viewing party!” said Fathom Events CEO John Rubey. (November 10, 2015, London/New York) Titan Comics and BBC Worldwide are pleased to announce a brand-new mini series starring the Fourth Doctor and Sarah Jane Smith, as played by Tom Baker and the late Elisabeth Sladen. The all-new adventure is set in Victorian England, where a mysterious woman commands a hidden army in a house of the blind. Scryclops stalk the streets...and something alien and terrible screams from prehistory – with a hunger that cannot be satisfied! The Doctor, Polly, Ben and new companion Jamie McCrimmon find themselves on a beach near a cave that looks somewhat mysterious and begs to be explored. Upon investigation they group ends up getting captured and finds themselves far underground in what is the missing city of Atlantis. There The Doctor finds himself in the crazy graces of Professor Zaroff. Zaroff’s dream is to destroy the world and plans on doing it with the Atlantian technology and their unwitting help. The Doctor is horrified that a man of science would want to blow the world up just for the sake of doing it and has devised a plan to try and stop him. But first he must get Ben and Jamie freed from the mine and prevents Polly from being turned into a fish person. It will be tough as Zaroff is just that type of crazy that will not be stopped from his destiny. 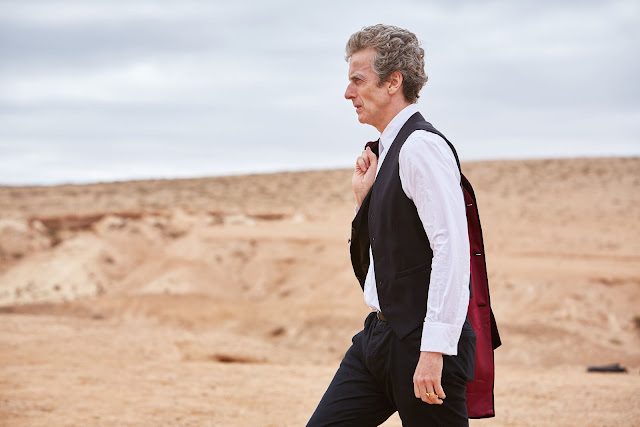 The BBC have released a synopsis for the penultimate episode of Series 9 and it sounds pretty interesting. Episode 11 Heaven Sent airs on November 28th. After witnessing a fairly good first part of this latest story I braced myself for disappointment. We have a couple of off screen cliffhanger resolutions and then back onto the plot. 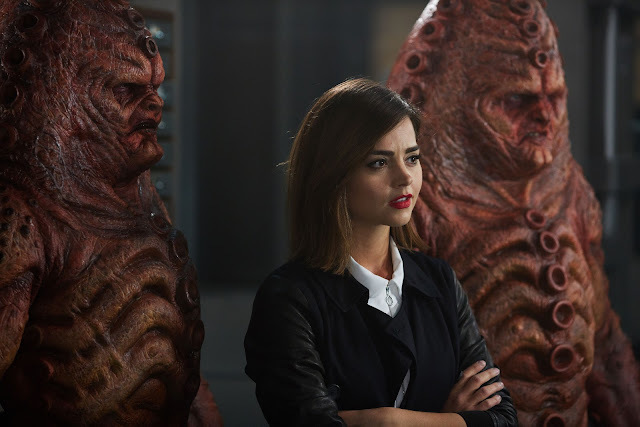 The Zygons are about ready to declare war on Earth. Most of the Zygons living there are happy but some are not and now a revolution has happened. It does not look good for anyone. The story itself is really a couple of rehashes from the last couple of seasons. We are ultimately left with yet another button dilemma. How many does that make now? This is really a continuation of "The Day of the Doctor" but also a retelling with both the button that the Doctor pushes to destroy Gallifrey and the stand off between the Zygons and humans. This similarity may not make this story that original but it does a pretty good job dealing with the dilemma. This time we have multiple buttons and multiple outcomes that ultimately are all fake. 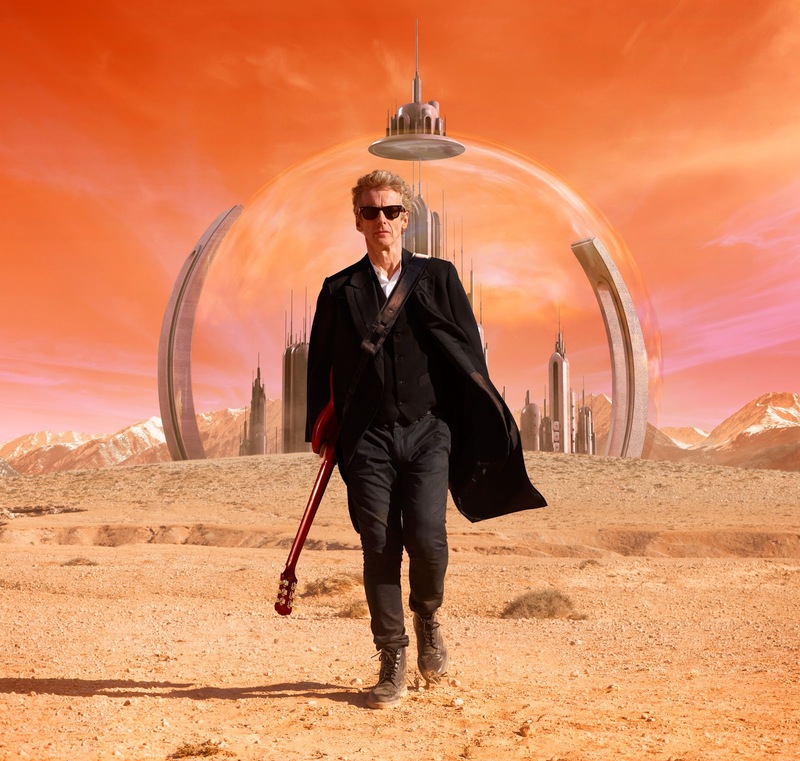 This is Capaldi's Doctor doing his “Kill the Moon” schtick again with giving the life forms control over their own destination, sort of. 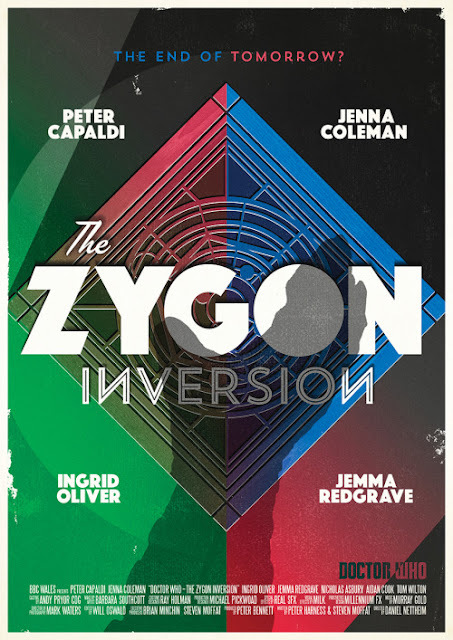 The Zygon Inversion continues with the Zygon rebellion as we find out how The Doctor escapes from his plane being blown up by an air to ground missile and what evil Clara really is up to. I have to say I wasn’t expecting the solution to plane destruction. 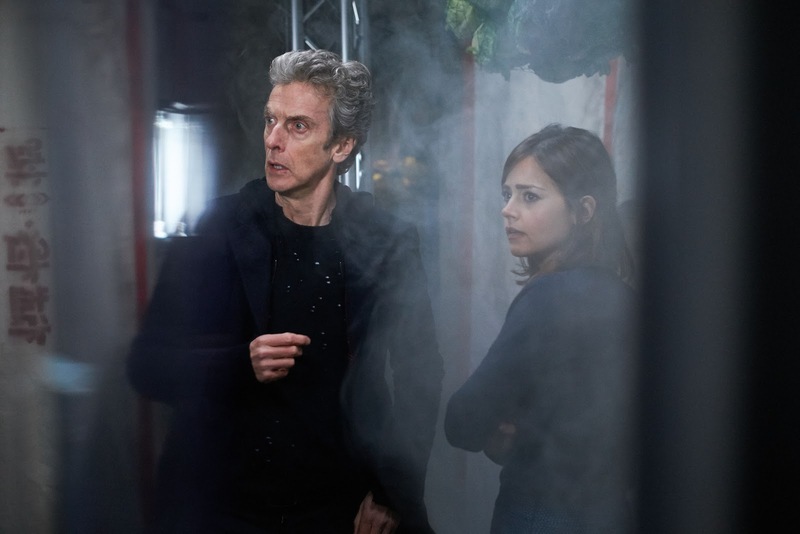 Well not the jumping out of the plane with parachutes but the fact that Clara was able to manipulate Bonnie and make her miss with the first missile but was not successful stopping the second which gave The Doctor and Osgood the chance to escape. 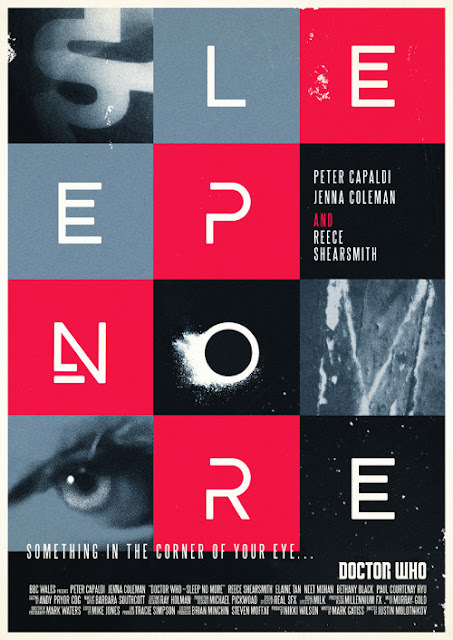 Now this was an interesting turn of events and made the story a lot more interesting as we had the two Clara’s going back and forth with a mental struggle. 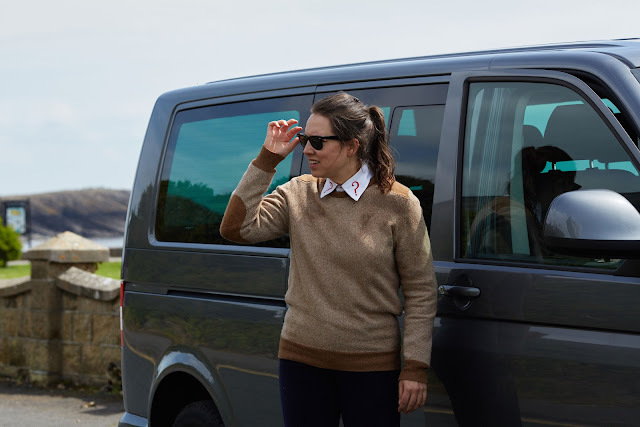 I enjoyed the banter between Bonnie and Clara and I am really enjoying watching Jenna Coleman playing a villain also as it really added to the tension that this story was conveying. 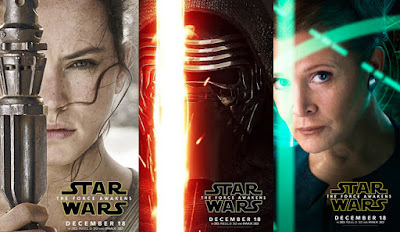 Star Wars is getting a bunch of press lately. I wonder why? So we have a new trailer and movie posters. The Doctor, Jamie, Polly and Ben have arrived in New Houston which is an Earth colony in the 4th sector. 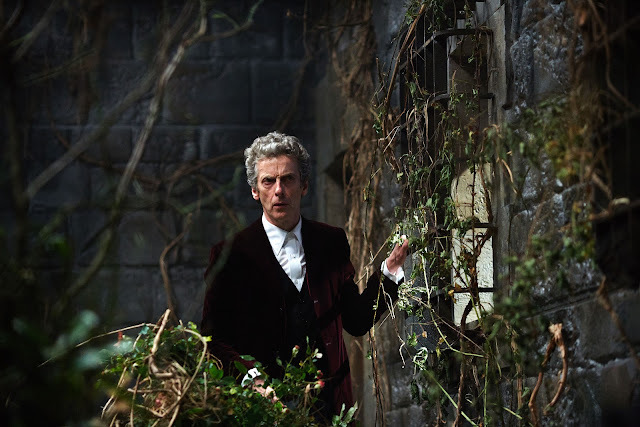 The Doctor has been there before in a previous incarnation as he tells his fellow travelers that he save this colony from an alien invasion. The Doctor has a friend at this colony named Meg Carvossa who he finds out has passed away. 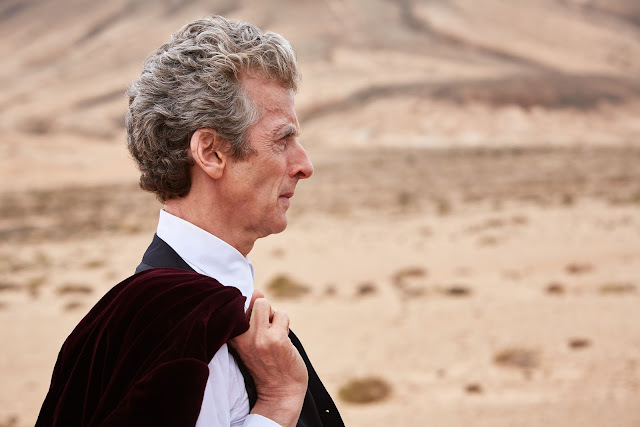 Upon learning this The Doctor wants to ay his last respects but finds out that he is not able to. 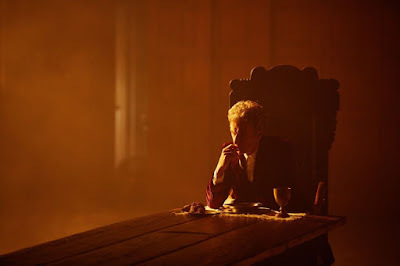 This gets The Doctor thinking and he begins to investigate what is going on. Polly also notices that there is hardly any people walking around but there is quite a large number of robots instead. 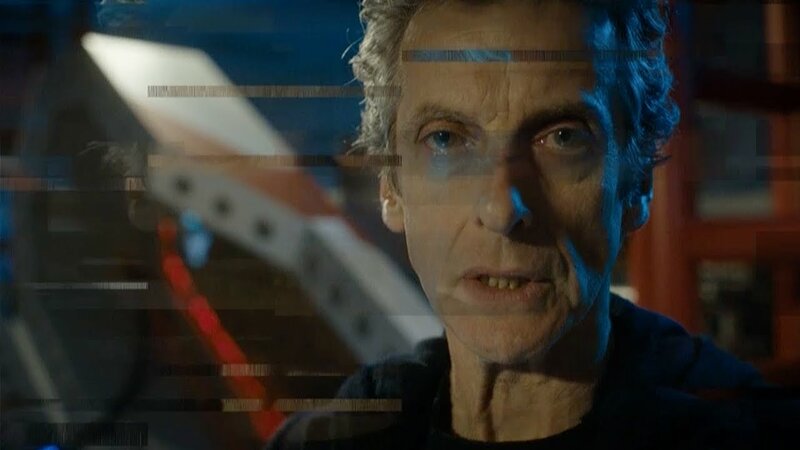 Things do not appear to be what they seem and The Doctor is worried that New Houston is in a lot of trouble. 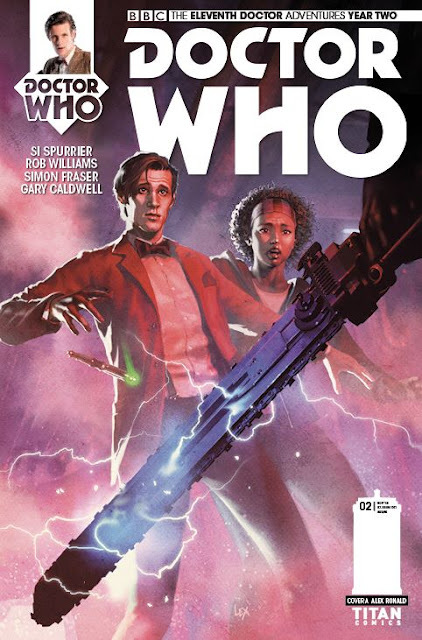 Out today are two Doctor Who comic books one for the 8th Doctor and one for the 11th Doctor. Fans of a certain Doctor Who Magazine comic book character will be happy to see him and his chainsaw sword return. 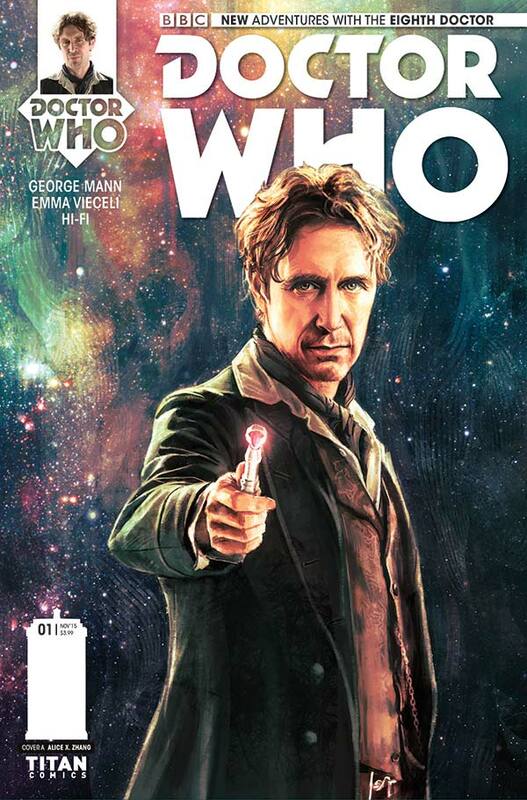 "I'M THE DOCTOR, AND I'D VERY MUCH LIKE TO KNOW WHAT YOU'RE DOING IN MY HOUSE..." Get ready for an all-new season of comics adventures featuring the Eighth Doctor, as played by Paul McGann in the Doctor Who movie, fan-favorite minisode Night of the Doctor... and over fourteen years (and counting!) of astounding Big Finish audio spectaculars! • From George Mann, writer of the New York Times-bestselling Doctor Who novel Engines of War! • From Emma Vieceli, artist of Breaks, Alex Rider: Scorpia, Dead Boy Detectives, Vampire Academy, Manga Shakespeare, and more! • Launch cover by the incredible Alice X. Zhang!